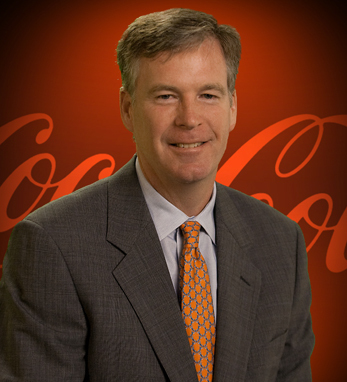 Steve Cahillane is the president and CEO of Coca-Cola Refreshments, an operating unit that represents nearly 90% of the North American business of The Coca-Cola Company. Steve began his career as a sales representative for E&J Gallo Winery. In 1995, he founded State Street Brewing Company in Chicago, which he owned until 1997, when he sold the business and joined Coors Distribution Company as VP and general manager. He joined InBev in 1999, serving as VP of U.S. Sales until 2001, when he was promoted to CEO of Labatt USA. From 2003 to 2005, he served as CEO of Interbrew UK and Ireland. He then became COO for InBev, and in 2007, was appointed president of the Europe Group for Coca-Cola Enterprises. In 2008, he was named president of CCE’s North American Business Unit. One of four children of a New York firefighter with roots in Co. Kerry and a mother who was born and raised in Donegal, Steve holds a BA in political science from Northwestern University and an MBA from Harvard. He and his wife, Tracy, reside in Atlanta with their four children.